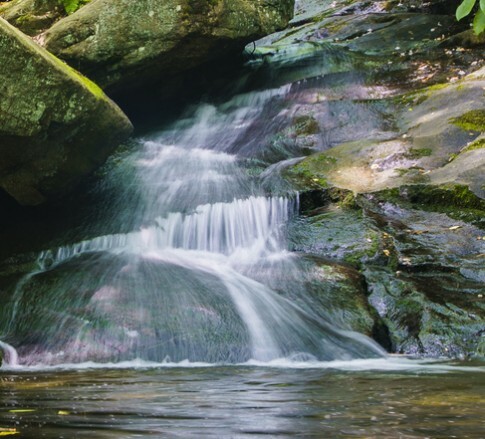 Two weeks ago, two of our Lexington colleagues wrote about the Court of Appeals for the Sixth Circuit staying the Clean Water Rule. The EPA and the Corps of Engineers promulgated this regulation to define what constitutes waters of the United States (WOTUS). Although the agencies have gone to extraordinary lengths to defend the regulation as a mere clarification, which does not enlarge their existing authority under the Clean Water Act, no one is buying it. In their brief filed this week, the Department of Justice reveals  perhaps inadvertently - why no one will. The procedural battles over the WOTUS rule have resembled a major league bench-clearing brawl. Immediately after the rule was published on June 29, individual companies, trade associations, and states began to file lawsuits in the federal courts. Sixteen actions were filed in the appellate courts in two circuits, and 16 actions in 13 different federal district courts. Every petition sought to stay the legal effect of the rule. The Justice Department on behalf of the agencies attempted to dismiss the district court actions and litigate the challenges exclusively in a single circuit court. It is easy to understand why. Currently, 94 federal district courts exist in the United States, and every judicial district from New York City to Alaska contains a moist patch of land that is  or could become  a WOTUS and provide a forum for a challenge to the rule. Understandably, the Justice Department wants to avoid the potential for litigation in all of those courts. Fortunately for the Justice Department, there is a good reason to litigate the cases before a circuit court: subject matter jurisdiction. In a case involving the CWA, the circuit courts have subject matter jurisdiction to hear cases in which the EPA has adopted either an effluent limitation or other limitation (CWA §519(b)(1)(E)). The WOTUS rule, by consensus, is not an effluent limitation, meaning a restriction on the quantities, rates and concentrations . . . discharged from point sources into [WOTUS] (CWA §502 (11)). Is WOTUS an other limitation as previously interpreted by the courts? The Justice Department explains why it is in its October 23 brief. It also justifies exclusive circuit court jurisdiction under CWA §519(b)(1)(F), which provides review for any EPA action in issuing or denying any permit[. ] These are sound reasons and ones also found by one district court, which dismissed a lawsuit for lack of subject matter jurisdiction in August. Murray Energy v. United States, 1:15cv-110 (N.D. WV). In urging the Sixth Circuit to accept jurisdiction over the filed cases and deny the motions to dismiss, which have been filed by the state and private litigants, the Justice Department states that the WOTUS rule acts as an other limitation in two respects: it restricts the ability of property owners who are operating a potential point source into covered waters, and it requires the states that operate approved permit programs to process applications for such permits. This straightforward statement is revealing because it explains why property owners have reacted with such alarm. The WOTUS rule will regulate persons who may operate a point source (which may not be perceived) for discharging a pollutant (which can be virtually anything) into a WOTUS (which can be an unrecognizable wetland miles away for any flowing water). In this respect, the Justice Department has been more candid than EPA in explaining the breadth and effect of the rule. The Sixth Circuit has scheduled oral argument on December 2, 2015 to determine whether it does possess subject matter jurisdiction to hear and decide these cases. The case is State of Ohio v. U.S. Army Corps of Engineers, U.S. Court of Appeals for the Sixth Circuit.